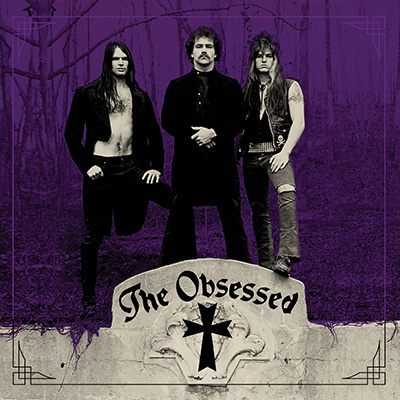 Made up, at the time of its recording, of Scott "Wino" Weinrich on vocals and guitar, Mark Laue on bass and Ed Gulli on drums, The Obsessed’s self-titled debut album was recorded in 1984 and originally to be released by Metal Blade. 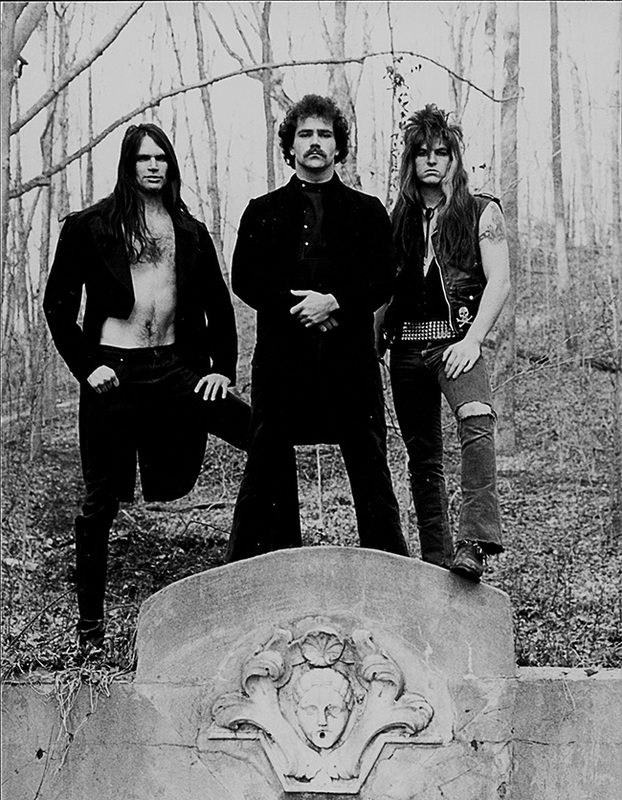 While the band did get a track on the Metal Massacre VI compilation that the label put out, by the time they were set to unleash the full album their sound had gone out of style. The album was put out a year later in Germany by Hellhound, but it went out of print and has been tough to find ever since. While it was reissued here and there in various limited formats, this new reissue from Relapse Records looks to be the definitive take on an album that clearly laid a lot of the ground work for the current doom and stoner rock bands. The album kicks off with the three and a half minute Tombstone Highway, a track that makes it very clear how heavy the vintage Black Sabbath influence was during this period of the band’s career. It’s a thick track with a heavy groove, an ominous tone and even some slightly Ozzy-esque vocals from Wino. It never speeds up, it stays in that mid-tempo range, but it’s got some weight to it and the bluesy guitar work is rock solid. The Way She Fly is a heavier, more aggressive track and probably the best one on the record. It borders on psychedelic in spots, it’s got an eerie vibe to it and it’s just flat out dark. Lyrically it seems to deal with alcohol abuse so it’s less than cheery before the first chord is played. The drums are pretty intense here too, very tight and completely entrancing at times – it’s just under two and a half minutes in length. Forever Midnight clocks in at five minutes even, the second longest song on the album. Again, it’s a bit trippy, a bit psychedelic and heavily influenced by Sabbath and their ilk. It’s also fairly repetitive but there’s a great riff here that’ll get under your skin the minute you hear it, which contrasts in strange ways with the more upbeat moments that are surprisingly a big part of this track. Ground Out, at just over three minutes, again features some smoking blues licks over top of some doomy riffs, with Wino’s stressed out, burned out vocals setting the tone nicely. This is, not surprisingly, also a pretty dark track. The influence that material like this has had on modern doom bands becomes clearer with every passing track. The band also channels elements of psych, punk and prog into their music which makes for some pretty cool sounds. Fear Child, at just under two minutes, follows the same pattern – sludgy, doomy, Iommi-esque riffing with some staccato drumming and a thick, chunky bass line anchoring things. No comments on the vocals here as this track is completely instrumental. Freedom has as much of an MC5/Stooges vibe to it as it does a Sabbath sound, clocking in at six minutes even. It’s definitely got a psychedelic feel to it in spots, it feels more unpredictable than anything else on the album. The guitars are more fluid, Wino’s vocals more upbeat and positive, less haunted and depressed. It’s hard not to get into this one. Red Disaster is a four minute slab of doom, heavier than concrete and a complete return to the pitch black darkness that The Obsessed are really known for. Lyrically it’s very dark but musically it’s even more so, with long instrumental stretches pulling us down into the depths. Inner Turmoil clocks in at roughly two and a half minutes. It follows the trend set by the last track, its’ dark and sinister and heavy as heavy can be, but the band speed things up a bit with this track, never getting into thrash territory or anything like that but maybe flirting with it just a little bit during some of the instrumental stretches where they really go all out with their assault. Last but not least, the album proper closes out with the four and a half minute long River Of Soul. It’s not as aggressive as the track that precedes it but it gives us everything that the best tracks from The Obsessed give us – slick and heavy grooves, powerful riffs, a bluesy backbone and Wino’s sincerely tortured vocals all delivered with precision and power. If that weren’t enough, this reissue also includes a bunch of bonus material which, for many fans, will be reason enough to pick up this Relapse edition. First up we get four tracks from the Cancer demo cassette from 1984 – Concrete Cancer, Feelingz, Mental Kingdmo and Hiding Masque. The audio quality here is a little rough around the edges, which is understandable given the source material, but it’s great to get a chance to hear the band working through some early versions of these tracks. Never before released, this give us an interesting glimpse into this part of the band’s history. The other bonus tracks come in the form of a complete live set recorded at The Bayou on April 15th 1985 in Washington, D.C.. Here we get a chance to hear live versions of Ground Out which segues into Feelingz, Concrete Cancer, No Blame, Mental Kingdom, Tombstone Highway, Iron And Stone, Rivers Of Soul, Sittin’ On A Grave, Freedom and then Indestroy which segues into Kill Ugly. Like the demo material, the sound quality is less than perfect but again, this material has never been released before and fans of The Obsessed should definitely appreciate the chance to hear it at all. Wino himself also contributes a set of liner notes that talk up the early years of the band, landing a deal with Metal Blade who, once thrash hit, decided against releasing the band’s full length, though it was later released by Hellhound in Germany. They folded, it went out of print, it was reissued in 1995, then went out of print again only to now live again thanks to Relapse.